Kids tend to grow quickly so their preferences and tastes change tremendously. If today your daughter’s favorite personage is SpongeBob, most likely that tomorrow she will be going ape over Cinderella. So don’t rush with gratifying short-term whims by opting for wallpaper with SpongeBob face, rather opt for a neutral backdrop that can be spiced up with multicolored textile, vinyl wall stickers, curtains, DIY elements, etc. Your little girl’s room should be comfortable without getting boring. It should exudes her personality and interests. It should create an opportunity for her to be creative and have fun, and serene enough to get ample of rest and sleep that she needs. Full of wonder and fairy-tale qualities, there’s such magic throughout a toddler’s imagination. Mermaids, pixie dust and fairies hidden around every corner, expressing that creative mind is part of the fun of styling and designing a little one’s bedroom. If you’re princess really loves hot pink, then you’re sure to get inspired by this bright design. Just look at all the mixes and matching facets! 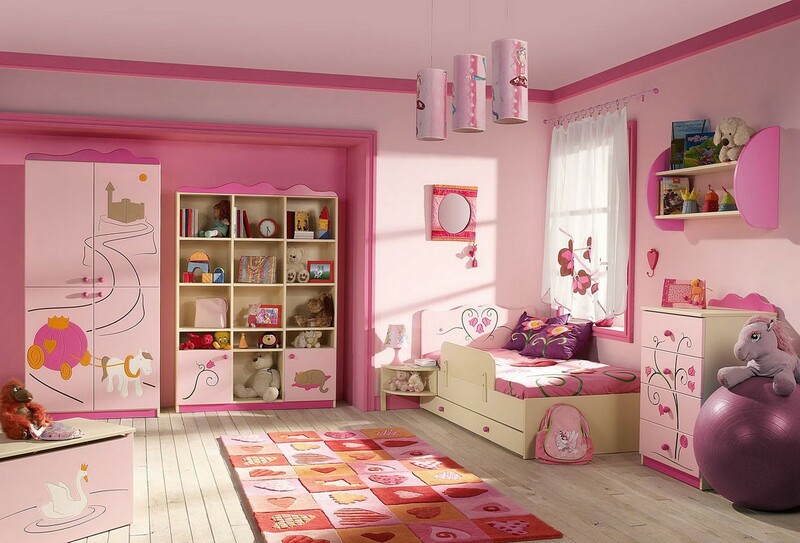 Toddler girls bedrooms do not have to be covered in pastels or striking colors always. A more sophisticated approach is to use the classic hue of black and white, and geometric patterns. 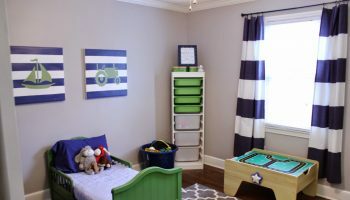 In this nursery, using stripes of black on white walls creates a playful vibe that echoes to the bed slated style and white mattress. Bold patterns and cheerful colors were added to quilt, pillow cases and area rug for instant interest and theme, that way you can easily change it when your child’s tastes changes. A garden themed bedroom for your little sweetheart is a fun and whimsical way to design her room with. Start with a garden gate wall mural in soft, muted colors for a soothing tone. Add French-inspired furnishings or accent items for a beautiful, girly appeal. Leave the floor for playtime and more creative activities. Use wall-mounted ledges and rails to store art supplies and toys. It will not only keep her room clean, it can also serve as a colorful display. Choose colorful bin baskets to add fun and playful element in the room. An accent wall treated with blackboard paint doubles as a place to draw is a perfect treat for those little artistic hands.